Like most modern muscle cars, the Gen 5 Camaro suffers from significant chassis flex and wheel hop. Under hard acceleration, the rear subframe moves quite a bit, reducing traction and stability. The Chassis Max Brace reduces flex and improves traction during hard launches and high-speed cornering by triangulating the rear subframe to the chassis frame rails. Reduces subframe flex and wheel hop, increases chassis rigidity and improves handling response. 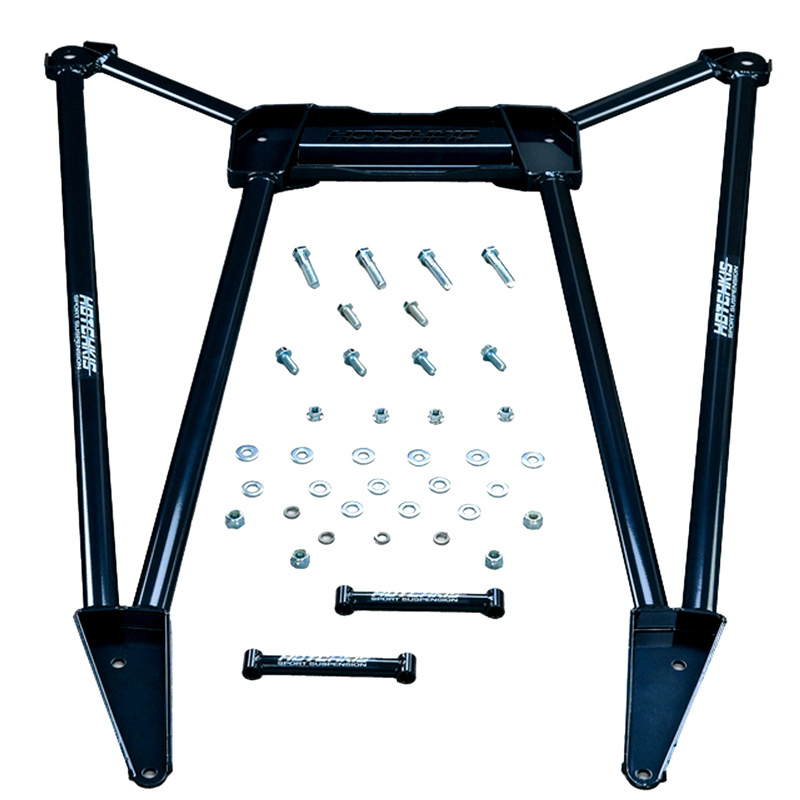 Beef up your Camaro's Chassis with Hotchkis Chassis Max Brace for 2010-14 Camaro! Like most modern muscle cars, the Gen 5 Camaro suffers from significant chassis flex and wheel hop. Under hard acceleration, the rear subframe moves quite a bit, reducing traction and stability. 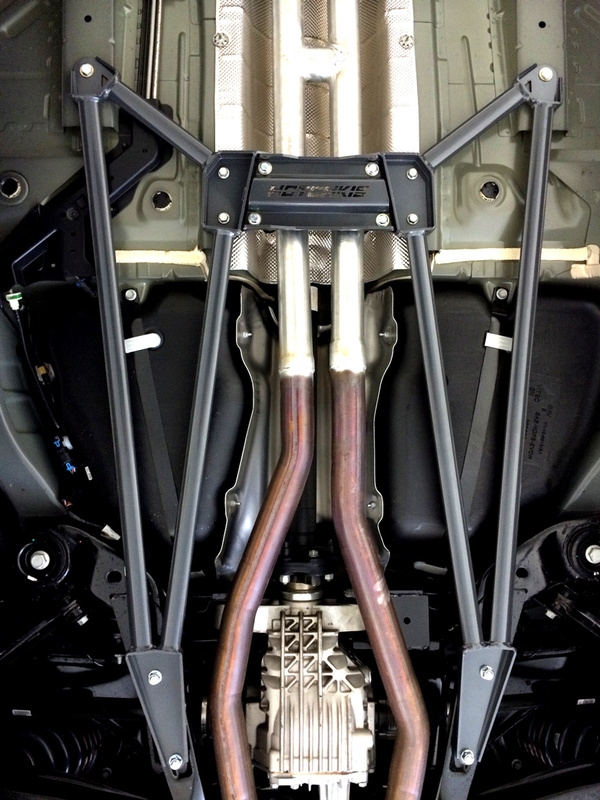 The Chassis Max Brace reduces flex and improves traction during hard launches and high-speed cornering by triangulating the rear subframe to the chassis frame rails. Reduces subframe flex and wheel hop, increases chassis rigidity and improves handling response. The Chassis Max Brace also still offers excellent ground clearance. Fits coupes and convertibles with V8 or V6.